Let’s say you want to try a new restaurant in New York City. There are many ways to find one to your liking. Perhaps you’ve read about some promising places on a few restaurant blogs, and maybe you scan the Sifty Fifty iPhone application for recommendations from Sam Sifton, the New York Times restaurant critic. Yelp provides helpful user recommendations, Menu Pages allows you to look over the menu in advance, and Open Table is there to put in your reservation. Isn’t it funny then, that when you finally sit down at the restaurant of your choosing, you’re given a piece of paper. In a world where one could very easily go through a day reading only off a screen, the restaurant menu may well be one of the few documents regularly and preferably distributed in print. In fact, one could argue that the menu, rather quaintly, is one of the last hold-outs of a thriving print culture. Sure, you can look up the menu online, but most still expect a physical document upon seating. 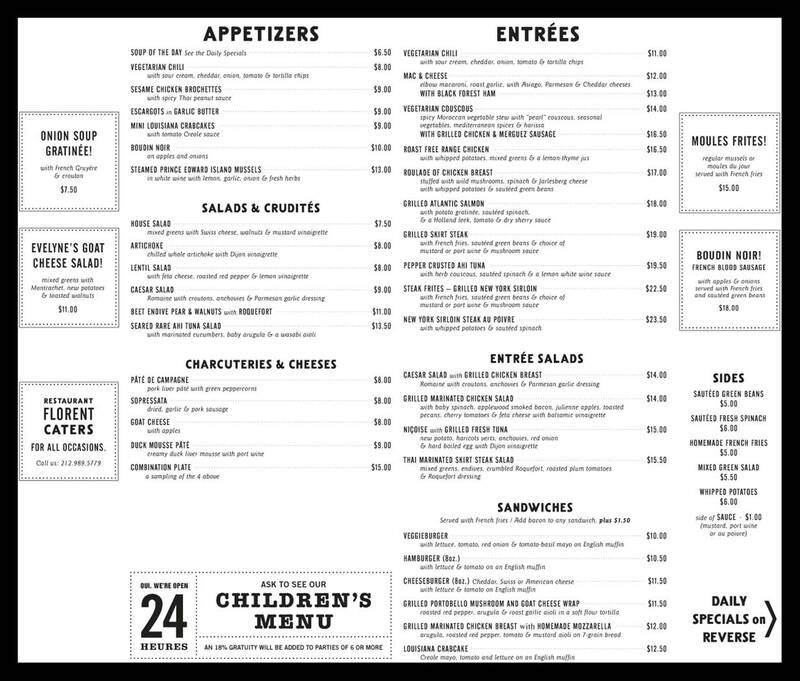 Menus are ephemeral. They are used to convey information and when that information is no longer relevant, the item is often disposed of. The asparagus appetizer in April may not be available in August. The chocolate mousse from October 1st is not offered on October 31st. 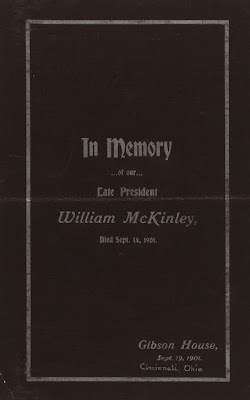 However, like many pieces of ephemera, a menu's informational value rarely stems from its original, intended use. And that, for me, is where things get interesting. 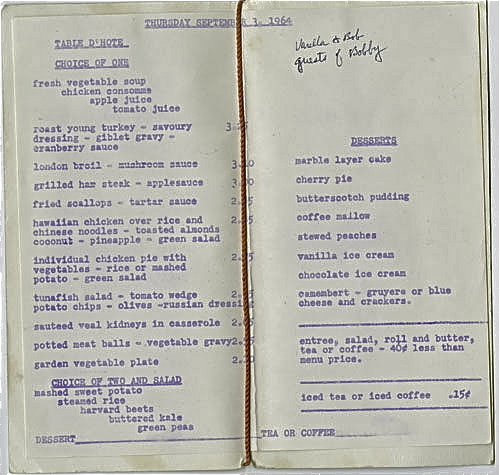 At their most basic, menus tell us about a place or event and what was served. But dig a little deeper, and one can often find out how much a dish cost, on what date the meal was served, and who was in attendance. Dig a little deeper still -- perhaps with the help of old newspapers or a biography -- and wider contexts and connections are made. 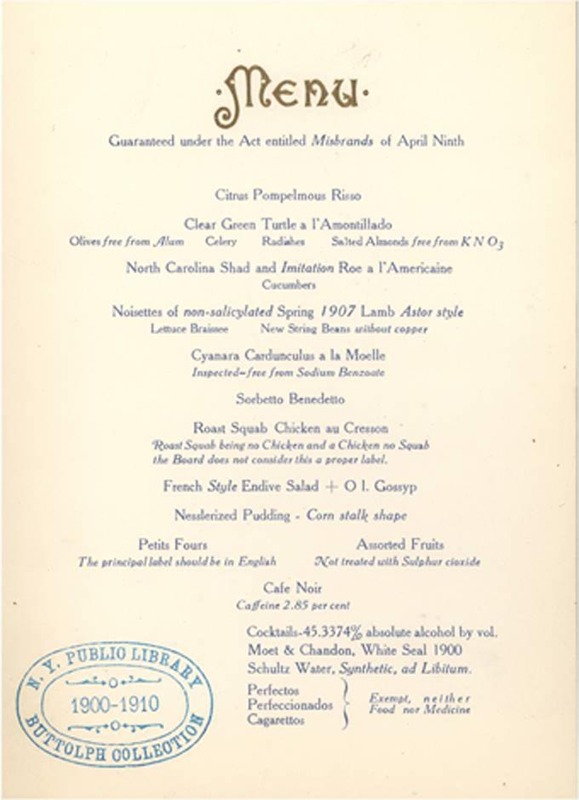 For example, the 1908 menu below celebrates the accomplishments of Harvey Washington Wiley, the chief chemist for the Department of Agriculture, a crusader for pure food, and the "Father of the Pure Food and Drug Act" of 1906. 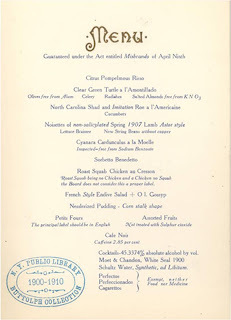 And while on first glance, the menu resembles many other "testimonial" dinner menus, further study show annotations explaining the chemical make-up of many of the dishes, a clever way of demonstrating the very labeling Wiley campaigned for. Or that the menu of Restaurant Florent, which resided in what was once a gritty New York neighborhood, advertised a separate children's menu, a gesture hinting at a fast-changing neighborhood and the need to cater to that new clientele. 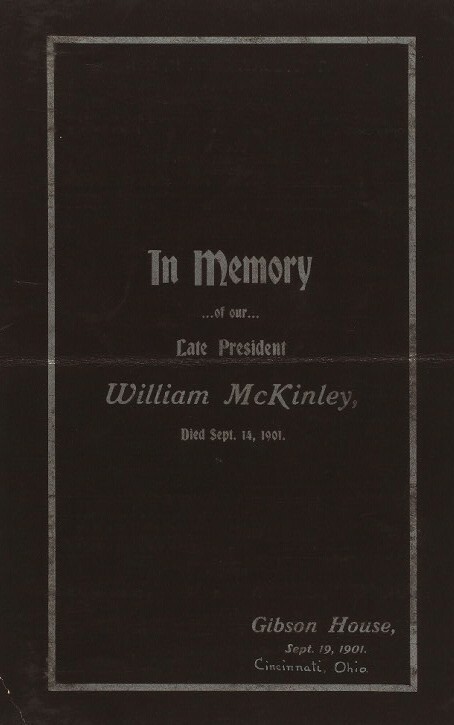 Or that when President McKinley was assassinated in 1901, his fellow Ohioans at the Gifford House demonstrated their grief by printing a daily bill of fare on black paper. Or that a popular, "see-and-be-seen" restaurant in New York's West Village has, at its roots, tuna fish salad with a side of potato chips. For historians, graphic designers, food enthusiasts, and chefs, menus are a sometimes overlooked source for inspiration and information, and can provide researchers with valuable insight into our social history in a way few other texts can do. I write about the food and menus and restaurants as a way of seeing the small details of history and celebrating the rich print culture they inhabit. On a very practical level, I am fortunate to have a job which not only allows but encourages exploration and research. The only thing more rewarding than that, is the charge to keep it up and share what I learn. So, the next time you're sitting at a restaurant -- any restaurant -- look for the potential informational value in the menu. And then order some food. You must hungry by now. Food for Thinkers is a is a week-long, distributed, online conversation looking at food-writing from as wide and unusual a variety of perspectives as possible. Check it out. 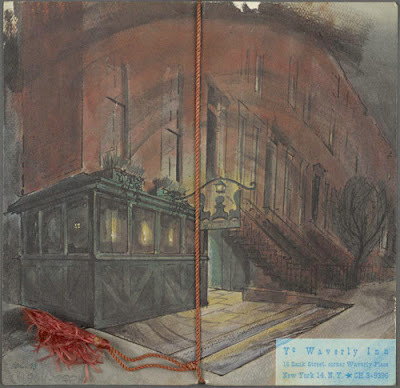 Great post — I, too, find menu's fascinating pieces of ephemera. Wish I could see some of the ones from my favorite childhood restaurants that are now long gone (and sadly not in your collection). 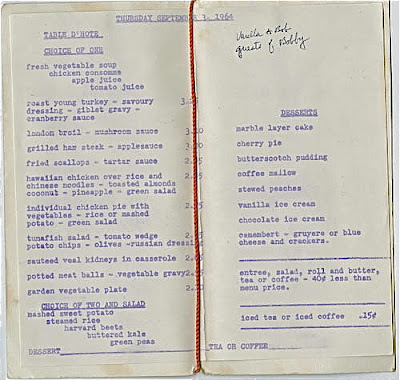 I've never thought of menus as historical documents or relevant to social research before. Fascinating. Thanks. Very interesting subject - thanks so much for the post! Holding the actual menu is one of the most basic parts of a restaurant experience - and I hope you're right that they stay. But who knows - I've heard of iPad menus and television screens instead of blackboards. I'm wondering if you can help me in a search for my grandfather's restaurant. Franz Gibiser was the propietor, and the name (as far as I have heard) phonetically was Dee-Johnny's (Da Giani's??) I looked through the inventory and didn't see it but you may have some other sources... thanks very much. And BTW, what cool job you have! Hi Martha, I'll see what I can find and let you know! Thanks for your comment. Wonderful blog. I also love the Library's public menu transcription project. 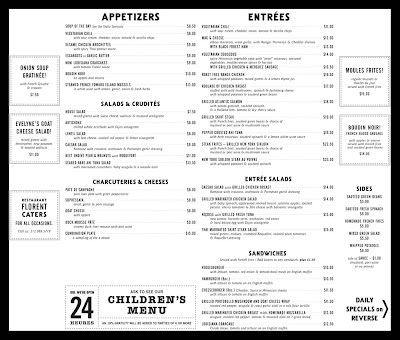 Cornell University's hotel school also has a menu collection that would be great to see in digital form. Maybe a partnership in the making? Thanks for your comment and for checking out What's on the Menu?. One day we would absolutely love to get other menu collections involved in the project, including Cornell!